Ballot papers proposing a national strike at the Royal Mail over pay and job cuts are being sent out to members of the main postal union. The move by the Communication Workers Union (CWU) comes after it organised a number of localised strikes across the UK over the past week. The CWU said it was prepared to call off all strike action if the Royal Mail agreed to stop all redundancies. The Royal Mail said the union had already agreed its streamlining plans. Royal Mail managing director Mark Higson told the BBC's Today programme that he was asking the CWU to call off the national ballot, while he and his colleagues continued to negotiate with union bosses. He has called the ballot "wholly irresponsible", and that the Royal Mail would continue work to minimise the impact of industrial action on deliveries. "The changes that we are making are essential to respond to a changing market... and we want the CWU to recognise what it signed up to in the previous agreement," said Mr Higson. At the core of the dispute is the Royal Mail's plans to trim its 121,000 frontline postal workers as part of the modernisation it says is needed to secure its future against a backdrop of falling mail levels. The Royal Mail insists that the CWU has already agreed to the cuts under the agreement reached to end the last UK-wide postal strike in 2007. However, the CWU disputes this claim, saying that while it accepts the need for job cuts, there was not yet any final deal over the extent and nature of redundancies. Instead, the union accuses Royal Mail of forcing through redundancies without union approval. 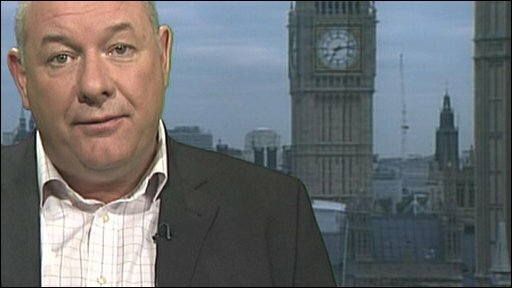 "A no-strike guarantee is on the table if the Royal Mail only steps back from making arbitrary job cuts," CWU deputy general secretary Dave Ward told BBC Breakfast. "Let's find a way where we can jointly shape modernisation." Sean Rickard, chief economist at the Cranfield School of Management, said both sides had to accept blame for the continuing impasse. "It is a rather emotional dispute, there is an adversarial relationship, a complete lack of trust, both the union and management must share responsibility for that," he said. Mr Rickard said the CWU had to accept job cuts in exchange for the Royal Mail guaranteeing that the postal service would have a secure and profitable future. The result of the ballot on a national walkout will be announced on either 8 or 9 October. The outcome of this national strike vote is difficult to predict, with even union sources indicating the result could be close. However they predict there could be a small majority in favour of taking industrial action. Feelings are strongest in the main cities, particularly London, Edinburgh and Bristol, which have already staged strikes in recent months. However in the other parts of the country, particularly the rural communities, there seems to be less support. The CWU estimates that the localised strikes of the past week have caused a backlog of 20 million letters and parcels in London alone. However, the Royal Mail says the figure is only nine million UK-wide, of which six million are in London. The Royal Mail typically delivers 95 million items per day across the country. Areas affected by localised strike action on Wednesday included Birmingham, Carlisle, Coventry, Nottingham, Northampton, Hadfield, Warrington, Peterborough, Swindon, Leeds and London. While no local strikes are planned for Thursday, staff in four Scottish delivery offices are due to walk out on Friday - Ayr, Irvine, Kilmarnock and Kilwinning. CBI deputy director general John Cridland said the localised strikes of recent weeks had "caused regrettable disruption", particularly for small firms. "Many firms are struggling in the economic downturn, making them particularly vulnerable," he said. "A wider national postal strike could make a critical difference to some companies, and risk lasting damage to them. "We very much hope that a strike will be avoided."